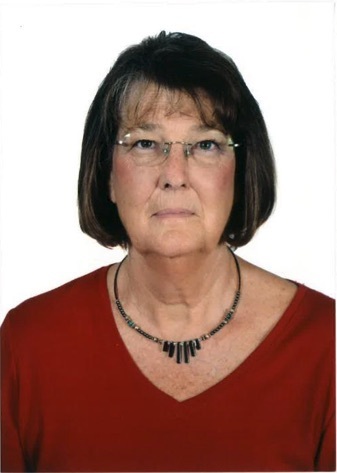 Sue Weaver was a teacher at King’s Academy in Madaba, Jordan, teaching both the AP Macroeconomics and Microeconomics courses from 2013 to 2018. She retired from teaching at Ramona High School in Ramona, California after 29 years where she developed the AP Economics program. She has returned to being a member of the Palomar College Faculty in San Marcos, California, where she was previously teaching the Introduction to Economics course, the Macroeconomics course and the Microeconomics course. She had been a grader for the AP Economics Exam since 1997, having graded both Micro and Macro exams. She has received the Foundation for Teaching Economics National Teacher of the Year Award and been honored by the California Council of Economic Education as the California State Economics Teacher of the year. Sue is a consultant for the College Board and the International branch of the College Board, conducting one day workshops, two day international workshops and week-long institutes at various colleges in California and internationally. She is the co-founder of CASET (The California Association of School Economics Teachers) and has presented at the CASET Conferences and as well as workshops offered by the Federal Reserve. The Summer Institute is designed to present an overview of both the Microeconomics and Macroeconomics Courses. The week will begin with general information about the College Board*, its website, resources and expectations for the course itself. The course will then focus on the Microeconomics course of individual markets and firms and how consumers and producers interact with supply and demand in both the product and factor markets. The course will focus also on lessons to help teach the principles of the economic system as a whole in the Macroeconomics Course. Special focus will be on national income and price determination and how economic problems are solved via Fiscal and Monetary Policies. Teachers will be able to participate in interactive lessons that enhance student learning of both Microeconomic and Macroeconomic concepts. Teachers will also be engaged in the process of grading Free Response Questions and be able to apply the College Board* Rubrics to the latest exams released by the College Board*.